Tropic thunder will fill up your senses like a walk in the rain. Words cannot capture the full beauty of this bouquet. Won’t she be shocked? Sure! 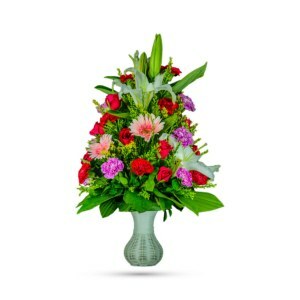 Bold primary colors and a perfect mix of fresh flowers make our dazzling bouquet great for men and women of all ages. 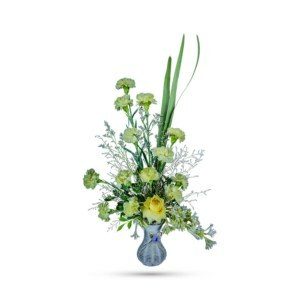 In other words, “Tropic Thunder” is the perfect arrangement for any occasion. 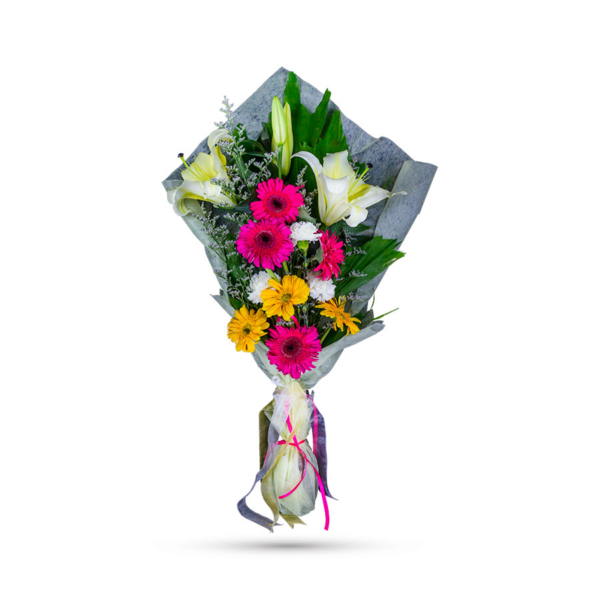 Beautiful yellow asiatic lilies, yellow and hot pink gerberas and white miniature carnations, are arranged with fresh tropical greens and limonium. The arrangement arrives wrapped in an exclusive white fiber wrapping paper decorated with bright curling ribbons. 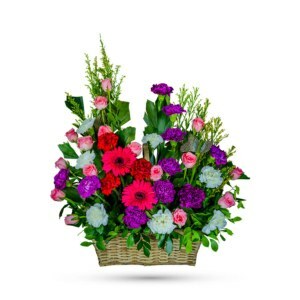 Celebrate life’s most cherished moments with this colorful collection of vibrant and happy flowers. 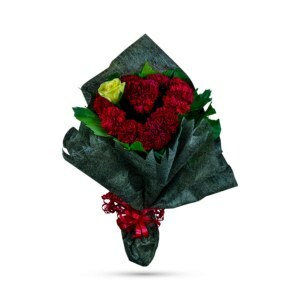 They are the perfect gift for any occasion you want to recognize, like an anniversary, birthday or to even congratulate someone with your warm wishes. There’s nothing like a bright summer day. And there’s nothing like receiving a colorful bouquet of summer flowers that will make any day brighter. So order Tropic Thunder online and receive it on your doorstep today!